It is counter-intuitive at first to read that title. Some may even say you can’t put those two sentences together in the sentence. Liberalism is after-all antithetical to dictatorship. It is about the individual and his power and his rights. The hallmarks of liberalism include Voltaire, Locke and a whole bunch of others. The United Nations charter is built on equality, a central notion of liberalism. What people forget however is that it is not mutually exclusive to liberalism. Instead there is a discourse that propagates liberalism. This is evident in ‘exceptionalists’ like Brenard Lewis and Samuel Huntington who openely said that the Middle East cannot handle democracy because it does not have European liberalism that eventually settled in the USA. Thus liberalism is always put on the opposite spectrum of any religious movement, be it political Islam or the far right in Europe and the Tea Party in the USA. People however forget the conditions by which these big names came about and their circumstances. Whiggish tradition in the UK started off by promoting an “evolutionary idea” based on liberal notions. It was however neither grounded on equality nor was it universal. Instead it was the justification given to pursue colonial projects. Citing it necessary to educate the “natives”. They claimed to have an evolutionary history of positive change. The reason? It was enmeshed in their Anglo-Saxon tradition. It was a ‘Teutonic’ principle, something “in the woods” of Germany brought to the UK. Liberalism has always had a few skeletons in the closet; the biggest is ethnocentrisms. That is why a whole sub-discipline is devoted to post-modern studies. It interrogates all the notions of “modernity” like Rustow and how it is apologetic for capitalism. Instead parallel thought has been produced about how this instead produced dependency. Universal declaration of human rights, while admirable, was more often than not used as a precursor of colonialism and a bargaining chip. It makes no reference for the rights of indigenous peoples to be characterized as a political entity. Usurped the rights of nomads and tribes and grouped them together in the ‘nation-state’; a myth that is duly expired. Beyond that under the guise of ‘liberalism’ massive occupation plans happened systematically from Australia to the United States. Mahmoud Mamdani carefully documents how people like Brenard Lewis and Huntington use liberalism as a weapon to wash over their history and start over with a clean state. They forget the occupation plans and systematic massacres of indigenous peoples all the while lamenting that part of history as an ‘era of liberalism’. International law, born out of the Austinian critique, still grapples with notion of equality beyond colonialism and is more of a vehicle for colonial enterprises to ‘protect minorities’. This happened in Rwanda and Sierra Leone where slaves in North America were sent back part of settlement plans and sparked genocide as war enthused over the ‘rightful owner of the land’ and ‘true native’. A startling resemblance to Palestine today. 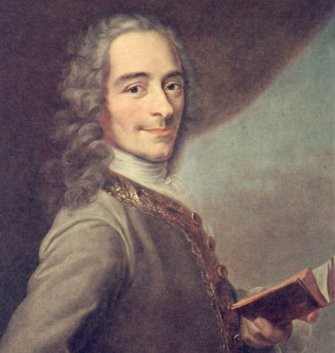 Voltaire himself famousely said: “I may not agree with what you say but I’ll defend to the death your right to say it”. He was later guilty of sending letters to the Russian queen Catherine the Great, encouraging her to go ahead in the Russo-Turkish wars and kill on Muslims as “ignorant”. Clearly the Austinian standard for recognizing states was born out of this tradition despite being born out of the “English” school known for its “liberalism”. International law at the time, following the intertemporal law doctrine (which means the law at the time of the dispute applies now), stated that a nation must be “civilized” to be recognized. This was often the excuse by Britain’s most liberal and aristocratic international law experts to invade Hong Kong. As for Locke his ideas are often presented out of a discourse of pure intellectual rigor which produced two strands of “good” and “evil” (his counterpart Hobbs being the other). This shows that the liberal tradition is always at odds with what is evil, painting it in a positive light. However as is know to most political theorists and thinkers, this tradition was born out of the Civil War in Britain and the fight between the Royalists and Parliamentarians. Thus his views were articulated to a certain political current and it is not surprising that it was that of the winning side. He articulated the views of the Parliamentarians and that is why his views gained currency. Thought, much to the shock and dislike of many, is not about its intrinsic and esoteric values, it is about the conditions by which it emerges and how favorable they are to those in power. The war was also against the Church as a wave of secularism swept through Europe. The myth of secularism has been duly documented and deserves no greater mention here. Any political theorist knows that secularism was a one way trajectory aimed at curbing the Church and had little common good, if not, none at all. Secularism was defined normatively with a ‘given’ logic: the Church had been despotic so the less of it the better. Reformation was out of the question, instead it was diluted. People who do not prescribe to the myth of secularism are the same ones that have any problem with moderate religion with politics or liberal institutions of religion in politics. However much to the demeanor of those folks they exist and in many “liberal democracies” such as Germany with the Christian Social Party and the Christian Democratic Union. Any discourse that seeks to stay dominant always has a few fundamental attributes. It disenfranchises other ideologies as being untimely or having accrued de facto failure. Take liberalism’s critique of socialism. It argues that we live in a different world now, that socialism failed with the Soviet Union. It commits the fallacy of “moving the goalposts”; it changes standards of the debate so that the problem is limited to one historical event of a much higher magnitude and ignores different forces at play. Such is the same critique that says Political Islam has failed with the Taliban ignoring success of Turkey, Indonesia, Malaysia and others. It moves the debate across time, culture and space so that it loses any relevancy but becomes a grotesque generalization; a similar tactic deployed by liberals such as Huntington and Lewis. A very ironic counterargument is the notion that these people are not “true” representatives of liberalism, however one can easily say that neither was the USSR the ‘true’ embodiment of socialism or communism. The point isn’t to debate the merits of what is Political Islam or isn’t, or who is a liberal and what liberalism is or isn’t. Rather it is to say that there is one definition for one thing. This isn’t to employ the overly hippy argument of cultural relativism. Instead we must understand that innate and intrinsic values of an ideology, be it liberalism or socialism, are not fixated but they are subject to the human condition. This means the same factors influence the same people who adhere to different ideologies. They are not mutually exclusive creatures, liberals aren’t from Mars and socialists aren’t from Venus. Islamists are not from another galaxy. « Genocide: How could they kill their own so effortlessly? The Tea Party is not a religious movement, but a Libertarian movement, though it is often mistakenly attributed to the Republican Party.